Red makes me happy when I see it, what's wrong with red that bulls don't like it? It has probably far more to do with the painfully glittery, over-the-top costumery of the persons waving the red cape in their faces. I'd be a little annoyed by that. Probably if I keep on with my pencil preoccupation I will have more red pencils than any other color. Red lead was once popular, too, for making check marks on lists, putting red-letter dates on one's calendar, and going in the red in one's accounts. 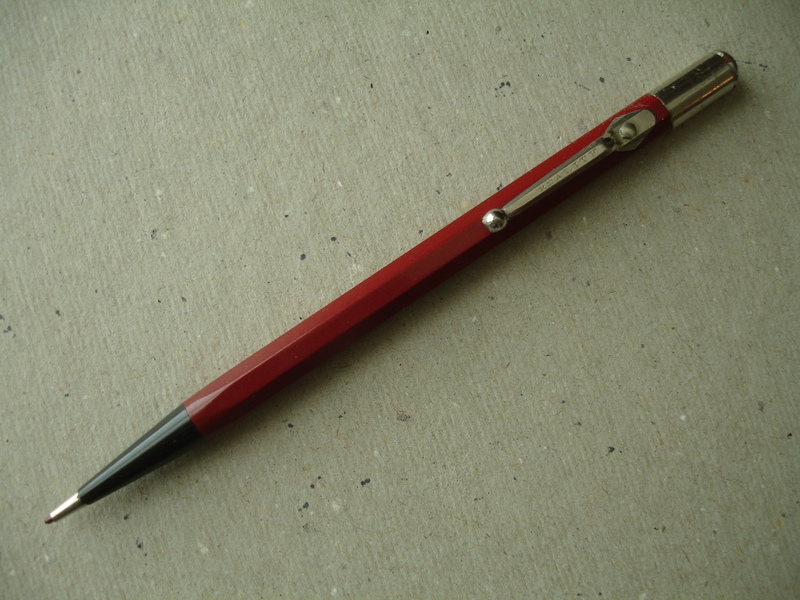 The Dur-O-Lite pencil with the knife in the top had a nubbin of red lead in it. You can still buy red lead from the Autopoint company, once in Chicago, now in Janesville, Wisconsin. Thank you! The clip also says Made in USA. Nice eraser under the cap. It's working perfectly, and hardly looks its age, which is over eighty! The hard-working brother to the red marble pencil is this red Realite with exposed eraser and no-nonsense, riveted clip. It has red lead, and same black tip, and is 8-sided so it won't roll off your desk. It's made a lot of check marks in its time-- it could date back to the 1920s. Autopoint, Incorporated They seem to be a nice old-fashioned company that doesn't think it is too much bother to send you a few leads. If you like, you could choose red. It's just a coincidence that my maiden name is Waterman, and Waterman made pencils to match so many of their famous fountain pens. But don't ask me to have anything to do with pens, that would involve INK. Every single antique desk or chest of drawers I have ever looked into has a spreading stain of ink in the bottom of the drawer. I used to work with Rotring Rapidograph technical pens, and believe me, ink spills, that is its nature. I prefer to avert disaster. You can't have much of a disaster with good old graphite. 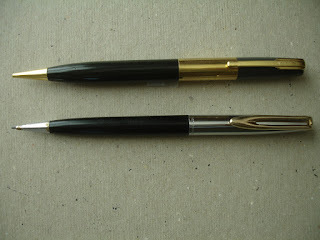 The two Waterman pencils that turned up here are not early colorful celluloid models, but later, efficiency-oriented types, that probably went cheerfully out in the world for years, until being consigned to a desk job, and finally retired. 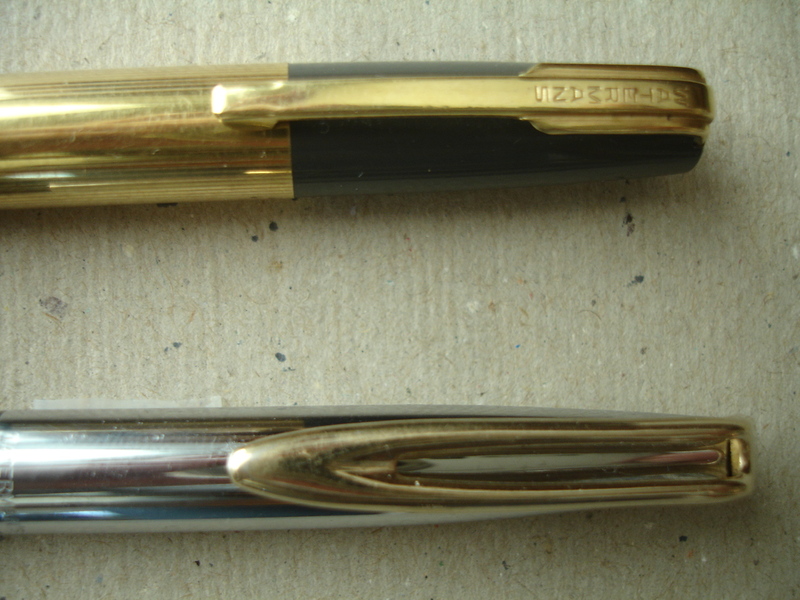 Plastic was new when Watermans made the grey and black pencil (top) in the forties, and they hadn't quite perfected it, as you can see from the crack in the black plastic near the tip. Although it was meant to accompany the Waterman Hundred Year fountain pen, it hasn't lived up to the name. And it doesn't work--from what I can tell, the crack prevents the twist mechanism from grabbing and turning. What are my chances of finding a new lower half, I wonder? 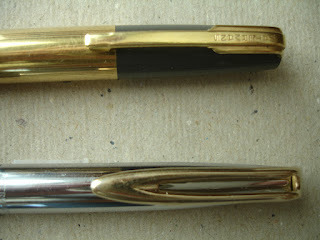 The bottom Waterman is even more streamlined. Remember how there was a big craze for efficiency in the fifties? 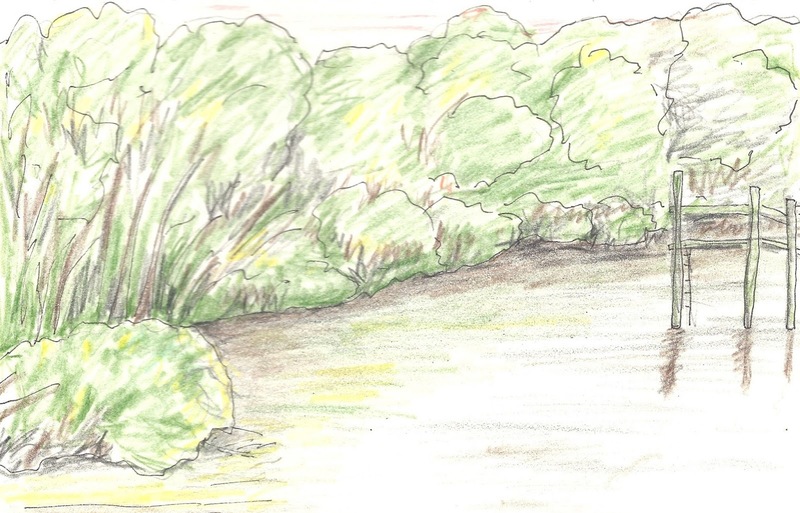 Less waste, faster and better production--not a bad idea, really. This pencil was made to accompany the Cartridge Fill pen, from 1953-1958. At least they had the plastic figured out, but about then Watermans closed up shop in America, and were re-invented by the French, so I hear. I keep the Watermans in an old chip-carved souvenir sabot on my desk, so perhaps they appreciate the irony. 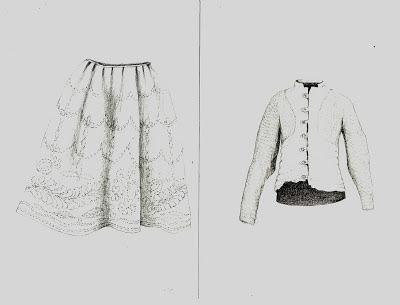 Quilted silk petticoat c. 1789; quilted chain mail doublet c. 16th century. It's another word for mania, I looked it up in the thesaurus. In my experience, it happens capriciously: something catches your attention, you turn down a path to explore it for a moment, and before you know it, you're in a new neighborhood where you never really intended to go, but you wander happily along, becoming more and more lost, and your old life has to catch up to you as best it can. It all started when I began to keep a gratitude journal. I got a notebook and a pencil out of my desk, and started to write about what I was grateful for in my life. It wasn't the first time I had kept a journal, but what was new was that I picked a pencil to write with, a Pentel mechanical pencil with a white eraser top, and a clip, which conveniently held the pencil inside the spiral of the notebook so I could keep the two together. It had soft 0.9 lead in it. After a few pages, I was enthralled by the smokey, smudgy erasable sprawl of words. 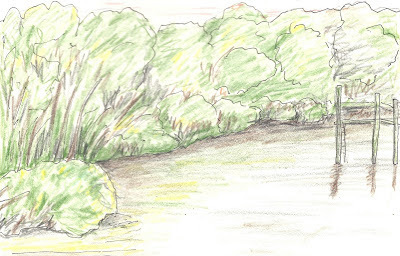 I liked feeling gratitude, it was good to focus on the positive, but I loved the pencil! I could write with it for hours! It was a joy compared to the skinny leads I had in my usual pencils. 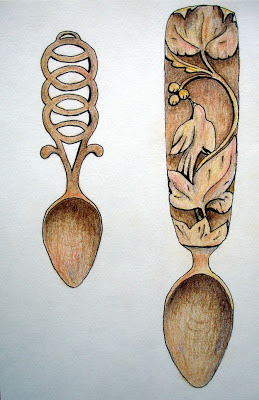 It was like drawing! I started drawing in the journal, doodling, swirling, and spiraling. Pure bliss. Then I ran out of lead. 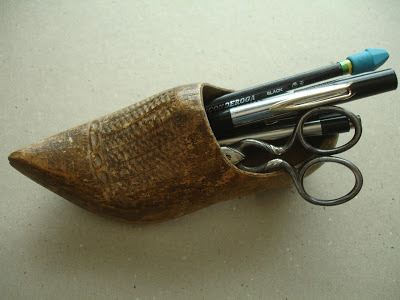 I searched my desk for more lead and didn't find any 0.9 mm lead to fill the pencil with, but I did find another mechanical pencil that had thicker lead in it--it was a strange-looking thing that had belonged to my husband's grandfather, long and tapered, ten-sided, with some kind of decorative covering that looked a bit like snakeskin, and a cap on top with no eraser under it, but a sharp little knife that could be pushed out by a metal slider on the side of the pencil. Cool! At first I thought it might be for dissecting things, eww!, but then I realized it was probably for opening letters. The words inscribed on it were tiny, under the cap: Dur-O-Lite, Made in USA, Melrose Pk., Illinois, Patented & Pats. Pend. Well, that made sense, Grandfather Christoffersen had begun his career as a young lawyer in Chicago. I Googled Dur-O-Lite and found a Wikipedia listing. I was down the path and into the strange neighborhood already! Then I found more lettering, saying Dodson Co., Chicago, USA, and discovered that they had made the knife blade. I started writing with the Dur-O-Lite pencil, I found more 0.9mm lead at the bookstore by the university, and I looked around the house for other old mechanical pencils. It became all about the pencils! A perfect mania for vintage mechanical pencils. Old life, catch me if you can!